As some of you will know the final episodes of the epic TV show Lost are being broadcast around the world as we speak, building up to the big season finale at the end of May. For some the end will be a chance to finally find out some answers, many years after the tropical polar bears, smoke monsters and general strangeness led them to turn off their TV sets in frustration. For others the finale will mark the end of six seasons of intense speculation, water cooler hypothesising, stoned pondering, hours of dedicated online forums and terabytes worth of internet content trying to puzzle out what-the-huh-and-why? So, anyway, here I am - fully up to date on events from the previous five seasons just in time for the grand denouement. And because I’m up to date, another part of the Lost universe has finally opened up to me; the internet. After years of skilfully avoiding any and all conversations, articles, reviews, interviews or debates about Lost that might spoil the show, now my appetite for all such things is bigger than Hurley’s for Mr Cluck’s chicken. Straight after every episode I’m online to find out about clues I’ve missed, the latest theories on what Locke / Flocke / Man-in-Black / Esau / the Smoke Monster is up to and just what Desmond means in all of this, brother. Dissecting David Lynch aside (and we all need help with that) I must admit that up til now I’ve never truly embraced my own internerd. I read the odd article on what-might-have-beens with Star Wars (I’m still sad that Lynch turned down the director job on Return of the Jedi) and enjoyed discussions around Life on Mars but as a rule I’ve stayed away from online obsessives. This is partly because I haven’t seen any of the shows that people trade blows over, but mostly because – as I now know from Lost – some people posting have an unpleasantly disproportionate view on their place in all of this. Now before I’m accused of blindly towing the official line, I do kind of understand how people feel here. I too had my Tim-from-Spaced moment with the crushing disappointment of the Phantom Menace. I know what it’s like to invest in something emotionally for many years and then see it pooed on from a great height by a stranger with a beard. Yet the crucial difference is I’ve seen the Star Wars prequels. All of them. To the end. 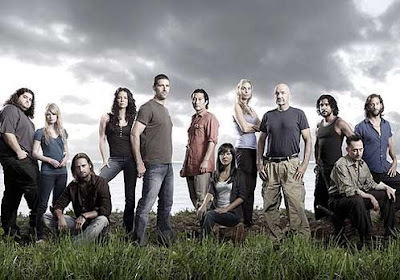 At this point nobody but the writers know what’s going to happen in Lost – the very people who keep reassuring us that everything will be fine. So hey, given that you’ve enjoyed over 100 hours worth of Lost over six years (I hope you have, or more fool you for keeping on watching) why not trust them in them for a few more hours and just see what happens? 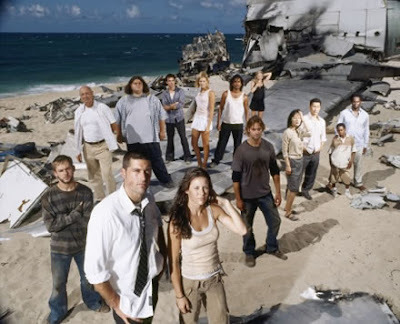 Hypothesise, speculate, have hope, get excited – it’s part of what makes Lost so appealing - but don’t slag off a show you supposedly love because this week they happened to confound your expectations of what should happen. It’s not your show, no matter how long you’ve been watching it. And remember this - unlike 99% of television programs Lost still hasn’t jumped its shark, sold out or let down characters we’ve grown to love. As John Locke and Jack Sheppard discovered there’s every reason to have faith that everything will work out right.